Powerhouse speakers are expected at four cities, but protests will be held across the nation. Last year, the day after Donald Trump's inauguration, 2.6 million people in 673 cities marched for gender parity; the largest single-day protest in American history. This year's Women's March, which carries the slogans, "Look Back, March Forward" and "Power to the Polls," is nearly as anticipated as 2017's. 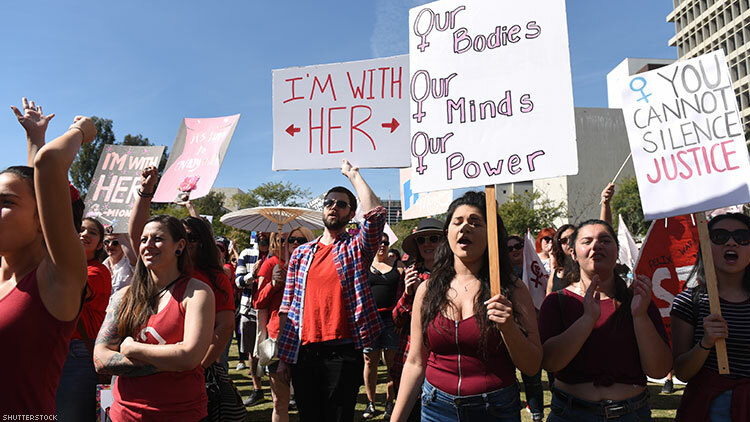 The 2018 protests, occuring Saturday morning across the country, come after the #MeToo movement took hold and Trump waged war on women, gays, transgender people, and all those subjugated by the patriarchy. Here's what to expect at the nation's biggest marches and information on how to find the event near you. Rep. Sheila Jackson Lee, who accused Trump of telling a gold star family "He knew what he signed up for"
Kimberlé Williams Crenshaw, Civil rights advocate who coined "intersectional feminism"
Click here to find the protest in your city.